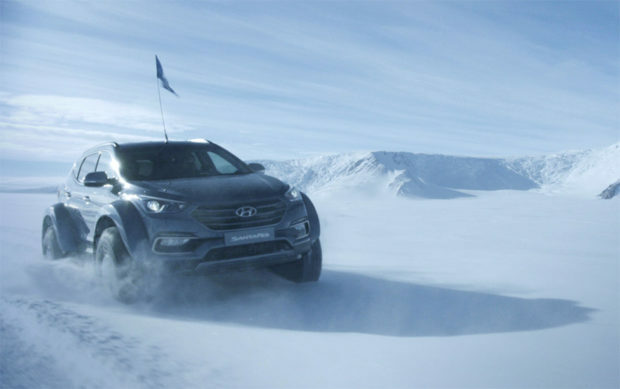 Hyundai has released a cool video that features Patrick Bergel, the great-grandson of Sir Ernest Shackleton as he tries to complete his grandfather’s famed trek across Antarctica. The original 1914-1916 mission left Shackleton him and his team stranded. He never finished the journey, but did everything he could to save the lives of his men who were stuck on the ice for two years. 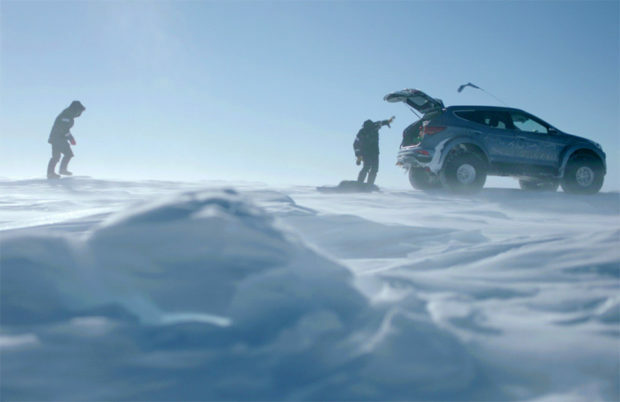 Instead of taking a boat through the frozen tundra, this time the journey took place in a heavily modified Hyundai Santa Fe that is so much cooler than anything you can buy at the dealership. 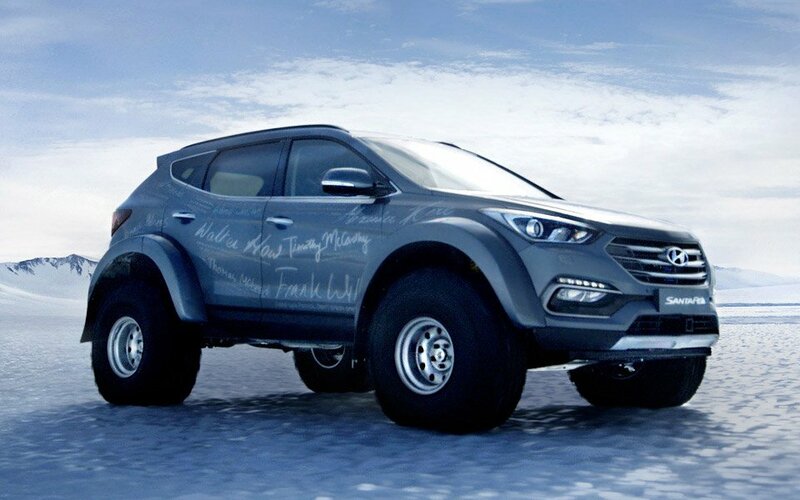 The beast has massive fender flares, huge tires, and an extra-low gearing ratio to help it manage all that soft snow. The expedition took 30 days, and covered a distance of 5800 km (or about 3601 miles). Hyundai made the video to celebrate the 100th year anniversary of Shackleton’s attempt, and included interviews with relatives of Shackleton’s men who survived the mission to go on and procreate. The SUV is very cool, but the mission itself held real meaning to all involved.